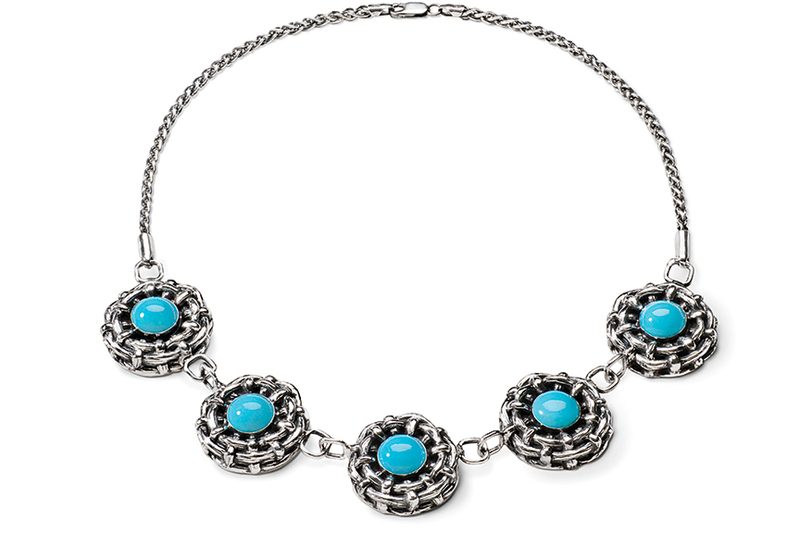 The Bamboo Necklace in turquoise fits the neck beautifully as sterling links join exquisitely etched bamboo nests crowned with natural turquoise. Instant style and sophistication is assured. As a collector's piece, you will always be proud to have this as part of your collection.